Yesterday the kids and I created mini Jack O’Lanterns. 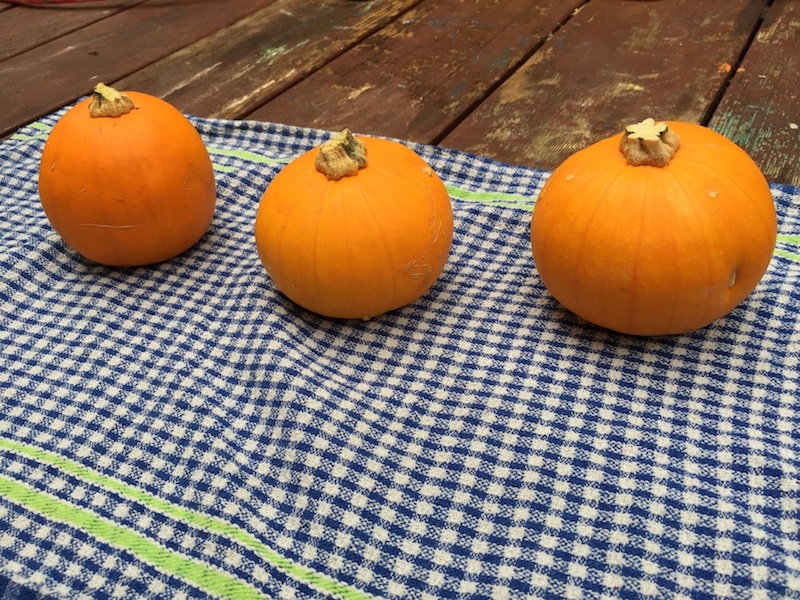 Three mini pumpkins, just the right size for kids to carve and also the right number for each child. Also, they were a little cheaper than the bigger ones. So if you wish to have a little celebration and not spend a fortune, get a mini pumpkin. Mini Pumpkins, one for each kid. This year we did it a bit different with the way we cut out the design for each pumpkin. I let the kids draw on their pumpkin with a permanent marker so they could easily see the shapes they had to cut out. As the pumpkin was smaller than we have had in the past putting a printout and sizing it correctly would have been a pain to do. Drawing on the pumpkin allowed the freedom to change the design although you could still see the texta marks. NOTE: I made sure that I supervised the kids with the knife. I showed them carefully what to do and when I realized things were getting difficult I took over. I didn’t want any lost fingers prior to Halloween and frankly, I can live without that drama. We have all got our fingers intact and this is how we like it. Make sure you supervise kids using a knife and in doubt do it for them. Note the lovely sibling love when Lillian says to Julia that she will not survive due to stinging herself with the inside of the pumpkin due to a cut. Nice sisterly love. Also, you can hear the cicadas in the background, they are very noisy and go non stop during the day. They are not as noisy during the cool nights. I hope you liked our Jack O’Lanterns. Make some to celebrate Halloween today. Or if it is not for Halloween cut out a different decoration. The finished product. 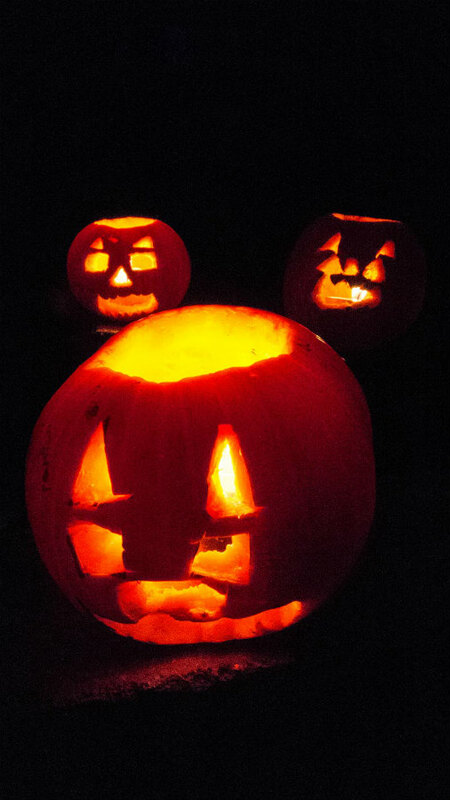 3 lovely scary mini Jack O’Lanterns. Perfect for your next party, spooky one or just a birthday celebration. Review: Stoyle the Gumtree Gargoyle: AaaaCHoooo!